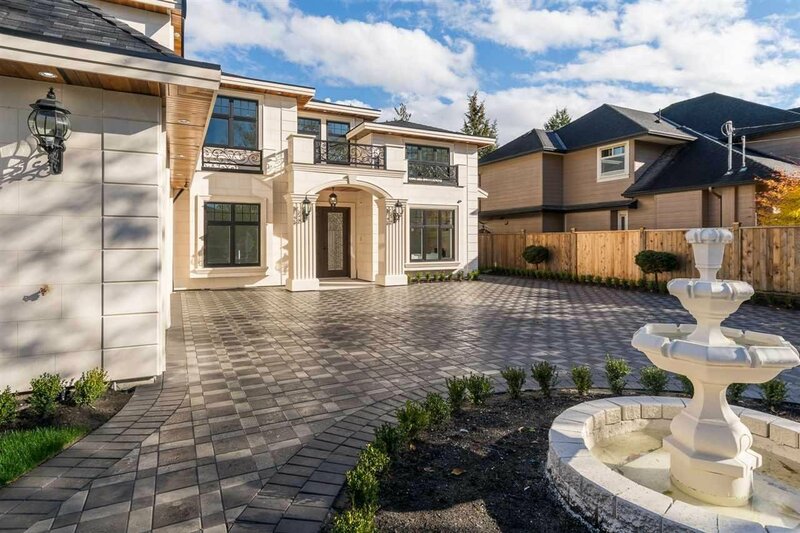 9480 Piermond Road, Richmond - 5 beds, 6 baths - For Sale | Melissa Wu - Maxcel Westcoast Realty Ltd. Luxury Dream Homes has built yet another custom Luxurious French chateau in the prestigious sea fair neighborhood. This elegant house features superior materials from all over the world with a smart home feature making all the washroom lights sensored and others controlled with a touch of your smart phone. fine workmanship, paying lots of attention to all details with open & spacious floor plan. Top quality and unique designs four ensuited bedrooms upstairs, media room with wet bar and a guest bedroom on the main floor. Just minutes to transit, parks, dyke, the Quilchena golf & country club, Garry point park and the Stevenson Harbor. 2-5-10 new home warranty.